Unsure of her budding relationship, Jane seeks distraction by attempting to correct the pairings of three other prospective couples. But when her matchmaking aspirations do not all turn out as anticipated, Jane discovers the danger of relying on first impressions. The human heart cannot be easily deciphered, nor can it be directed or managed. And if others must be left to their own devices in matters of love and matrimony, can Jane even hope to satisfy her own heart? Thank you so much for sitting down with Toot's for an interview. If you don't mind, I have some questions for you about your new book, Jane Austen’s First Love, and your process for our budding authors as well as fans. In your own words, what is Jane Austen’s First Love about? Jane Austen’s First Love is the story of the summer of 1791 when fifteen-year-old Jane Austen met Edward Taylor, the remarkable young man who first stole her heart. How did you come up with the title of the book and can you tell us its significance? Is Jane Austen’s First Love a standalone book or will it be part of a series? What genre would you say Jane Austen’s First Love is and what sets your book apart for fans of the genre? 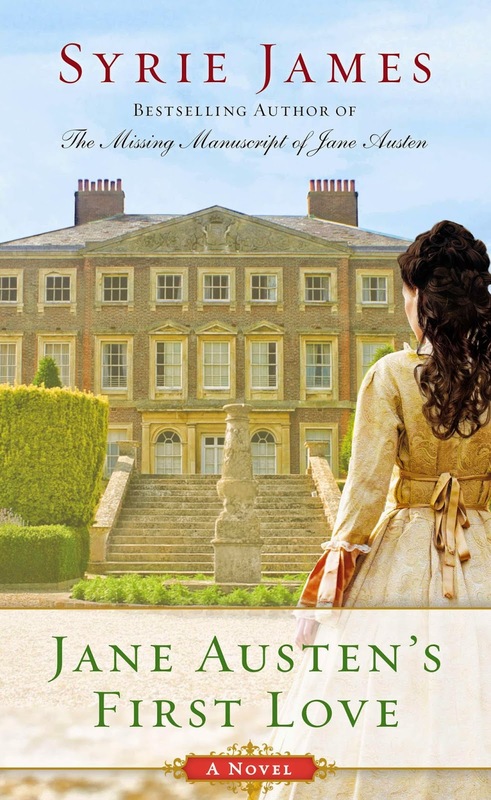 Jane Austen’s First Love fits within several genres: Historical Fiction, Romance, and also Y.A. What sets it apart? Well, it’s the only novel that I know of about Jane Austen as a teenager (which was great fun to explore.) The magnificent locations are all real, and nearly every single character in the book is a real person who Jane Austen knew. The novel is based on actual events and the exciting result of some groundbreaking research. For two hundred years, scholars have called Edward Taylor “Jane Austen’s shadowiest suitor” because they didn’t know much about him…but I uncovered a trove of new information about him, which helped explain exactly why Jane Austen fell head over heels in love him—and my book brings him out of the shadows at last! What are some of the elements of the world you created? 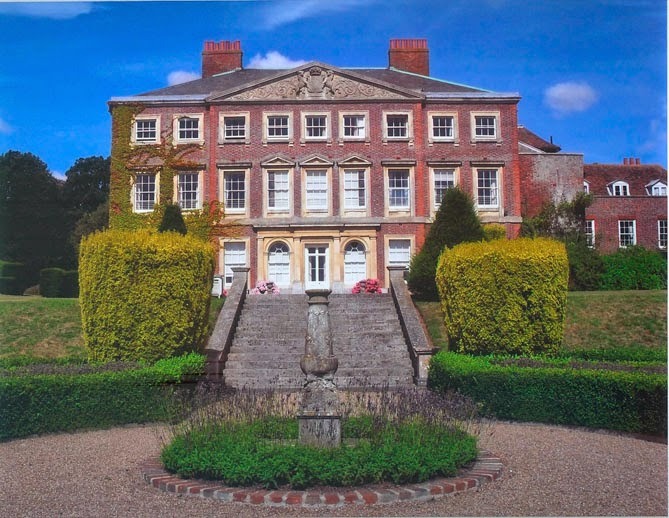 Jane Austen’s First Love takes place primarily at Goodnestone Park, a gorgeous ancestral estate in Kent which still exists today and is owned by descendants of the Bridges family, who Jane Austen knew and visited. Since so many elements of the novel—the era, the place, and the people—were real, one of my biggest inventions was the notion to bring all these people together in the summer of 1791 to celebrate the double-engagement of the two Bridges sisters. If you had to pick one thing, what is your favorite thing about the world you’ve created? Having the opportunity to bring to life the extraordinary Edward Taylor and a vivacious, young Jane Austen, as they fall in love over one glorious summer. What was your favorite scene to write for either your hero or heroine in Jane Austen’s First Love? One standout is the ball at Goodnestone Park, when Jane and Edward Taylor steal away and talk for hours and hours. He opens her eyes to seeing the world a bit differently, and afterwards she is forever changed. When Jane first arrives at Goodnestone Park and meets the Bridges family. It’s a challenge to introduce a lot of new characters at the same time, because it’s very important to me to keep each one distinct, consistent, and interesting. What's your favorite line or quote from Jane Austen’s First Love? Do you recall how your interest in writing originated and what made you decide to pursue it as a career? I think my interest in writing at an early age was sparked by my love of reading. From early childhood on, I loved nothing better than to curl up with a good novel. I wrote short stories for the fun of it in elementary school. One of my sixth grade class projects was to adapt the award-winning book Call it Courage by Armstrong Sperry into a stage play, which we then performed for the rest of the school. It was so exciting to work on that adaptation, to see a book come to life! It was at that moment, at age ten, that I knew I wanted to be a writer. What inspires you to put the pen to paper or fingers to the keyboard? My novel in progress is always calling to me. Even when I’m not at the keyboard, the characters keep talking in my head, and I can’t wait to get back to the moment where I left off, to continue their story. What are some of the elements in/of your writing process? I write a detailed outline that follows basic screenplay story structure, making sure it has character arcs and plot points in all the right places. I sketch out an in-depth history of every major character. I research the subject as thoroughly as possible. When I understand exactly what I’ve got and where I’m going, I dive in and write the book in chronological order. I almost always get new ideas along the way that take me to interesting places, but I try to stay on track with the original plan. I’m currently working on the sequel to Forbidden with my son Ryan, with whom I co-wrote the first book. Are there any of your stories or characters that hold a special place in your heart? All of them. I give so much of myself every time I write a book—I spend so much time in the heads and hearts of my characters, and I become so involved and invested in their lives, that they truly take over my life—and they become a special part of me forever. Is there anything you’d like to add or say to your fans? Thank you so much for your support of my work! Your emails and messages on my website, telling me how much you enjoy my novels, mean everything to me. I’m so excited to share Jane Austen’s First Love with you. I hope you enjoy reading it as much as I loved writing it. Please find me on facebook, follow me on twitter (@SyrieJames), and visit me at www.syriejamescom! Syrie James is the bestselling author of nine critically acclaimed novels, including The Missing Manuscript of Jane Austen, The Lost Memoirs of Jane Austen, The Secret Diaries of Charlotte Bronte, Nocturne, Dracula My Love, Forbidden, and The Harrison Duet: Songbird and Propositions. Her books have been translated into eighteen foreign languages. Syrie has long been a fan of British literature of the 19th century. She also enjoys reading in a variety of other genres, including historical fiction, paranormal fiction, women's fiction, biography, memoir, romance, mystery, and the classics. Two of Syrie's favorite authors are Jane Austen and Charlotte Brontë. Syrie's husband Bill, who has joined her in watching all the film versions of Miss Austen's novels several times over and every film version of Jane Eyre and Wuthering Heights ever made, has come to share her enthusiasm, if not her obsession. Syrie also enjoys writing about brilliant, sympathetic, charismatic vampires ... and the paranormal. It was a truly wonderful experience to co-author the novel Forbidden with her son Ryan. Syrie lived in Paris when she was seven years old, and had visited more than two dozen countries by age eight, which instilled in her a lifelong love of traveling. Her other favorite pursuits include movies, theater, great food, playing games with family and friends, Scrabble, photography, sewing, and the out of doors. Syrie designed and maintains her website, syriejames.com, and she welcomes visitor and messages! Like Jane Austen and Charlotte Brontë, Syrie is very fond of the countryside, and loves taking long walks. Syrie lives with her family in Los Angeles, California. 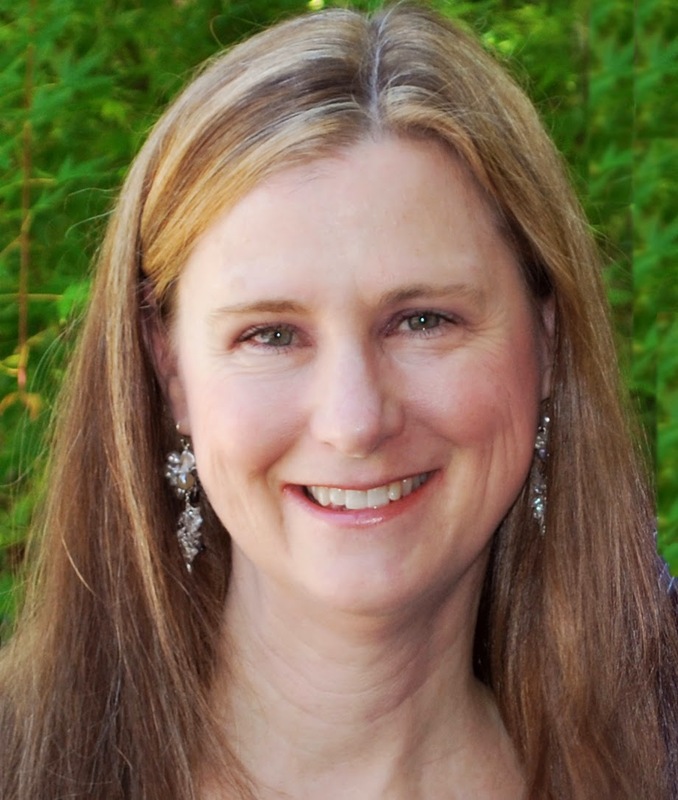 She is a member of the WGA, RWA, and a life member of JASNA (the Jane Austen Society of North America). She spent many years as a screenwriter and enjoys writing both novels and screenplays. Syrie writes practically every weekday from 10 - 6. She says, "Many people can't wait for the weekend to arrive. It's the opposite for me. I truly love my jam-packed weekends, but from the time I turn off the computer on Friday evening to the moment I'm back in my chair on Monday morning, I'm anxious to get back to the characters I left in limbo, who are just waiting for me to continue their story." Wonderful interview. Goodnestone is such a beautiful home.